As of 2017, Florida legalized the use of medical marijuana via registration with the compassionate care registry. Cannabidiol (CBD) and tetrahydrocannabinol (THC) products are available by prescription to patients meeting the diagnostic requirements for illness and disorders that have clinically demonstrated alleviation of symptoms under treatment protocols that include medical marijuana. A wide range of conditions may benefit from medical marijuana treatment (FMD.green) because the symptoms of these diseases share commonalities – muscle tension/spasms, anxiety, neuropathic and migraine pain, nausea, appetite suppression, and agitation. 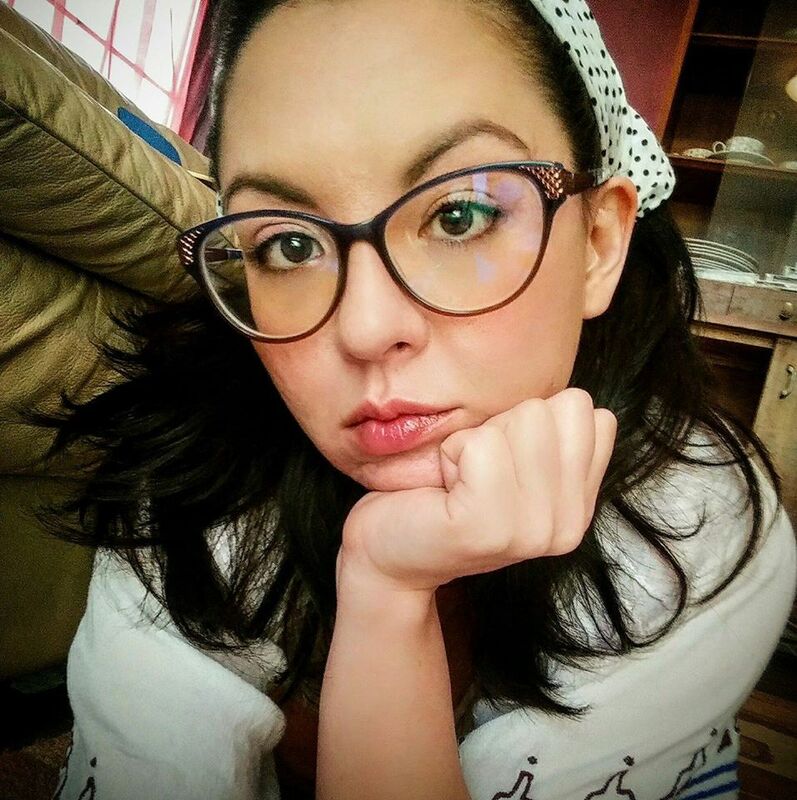 Medical CBD resulted in a significant improvement in my quality of life. In previous blog posts starting in October of last year I disclosed a severe decompensation into PTSD symptoms related to my experience both during the election cycle and a lack of support from my home department at the University of Florida. I worked diligently using the traditional means of psychiatry, psychiatric medications and talk therapy. I did not improve; I struggled to remain engaged in the talk therapy and other supportive interventions. A friend of mine who had previously used medical CBD encouraged me to try it out, even though I was skeptical because I had smoked pot recreationally and only rarely experienced a significant decrease in anxiety. At that point, I had no idea that the constituent chemical components of marijuana determined the psychotropic effects that one experienced. Like most people, I based my understanding of marijuana on anecdotal evidence and anti-drug propaganda from programs such as D.A.R.E. – programs that have demonstrated no relationship to the reduction of drug use and abuse. For me, the use of medical cannabis products eliminated my need to take PRN anxiety medication, and I no longer rely on anti-emetics to manage nausea and pain from idiopathic gastropareisis. 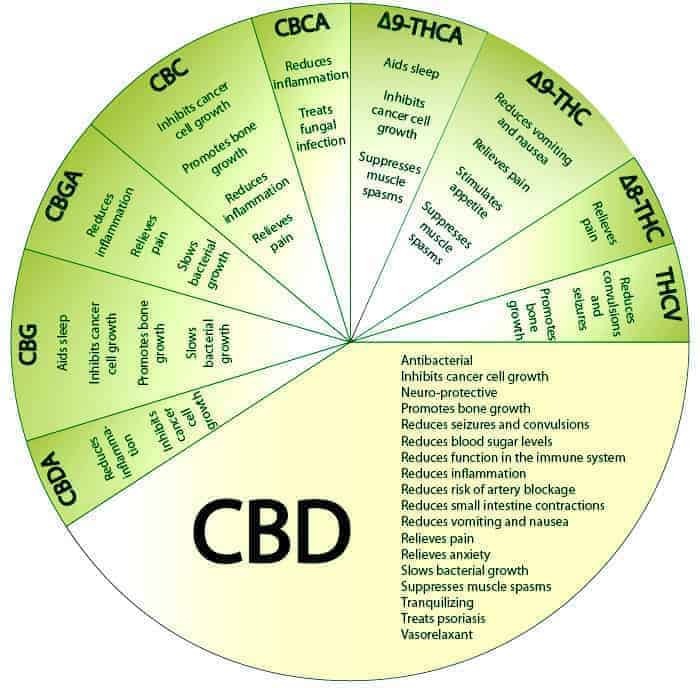 I often discover in conversation that many people don’t know much about CBD, THC, the difference between the two compounds and how they are applied for therapeutic benefit rather than the recreational high that pot is well known for. So I thought I’d put all my information into one blog post to share more easily. Our bodies make cannabinoids, which are unsurprisingly called “endogenous” (having an internal cause/origin). Endocannabinoids are crucial to bio-regulation of wide range of physiological systems, including inflammation, insulin sensitivity, and fat and energy metabolism; modulation of the endocannabinoid system may provide more effective treatments for chronic neurologic and immune dysfunction. Their main role is in cell-signaling, and, because they are hydrophobic (rather than hydrophilic), their main actions are localized to paracrine (cell-to-cell) or autocrine (same cell), rather than systemic, effects (Griffing, 2015). The endocannabinoid system (ECS) is so ancient in the evolutionary line that the system is present in mammals, birds, fishes, and even sea squirts. By 1964, the chemical structure of THC had been identified, but the first endogenous cannabinoids were not discovered until roughly 30 years later: specifically, arachidonoyl ethanolamine (anandamide) in 1992 and arachidonoylglycerol (2-AG) in 1995 (Grotenhermen, 2016). As there are no endogenous alcohol receptors in the body, it was assumed that THC was similar. The THC cannabinoid binding sites in the brain were identified in 1987, and by 1990 the structure of the neural endocannabinoid receptor was suggested, shortly to be followed by the discovery of a similar receptor in the spleen. There are no CB1 receptors in the brain stem, which governs the essential physiological functioning of the human body; this is thought to explain the complete absence of overdose-related death because the brain stem functions are unaffected by cannabinoid overdose. The CB1 receptor is present in many organs, at varying densities. It is one of the most abundant receptors in the brain, and the CB1 receptors are located in areas of the brain that play an important role in the coordination of movements, spatial orientation, sensory perception (taste, smell, tactile sense, hearing), cognitive performance and motivation. CB1 receptors are located at the distal axon terminal of the neuron. The critical function of CB1 receptors in the nervous system is the inhibition of excessive/inadequate signal transduction by the neurotransmitters (the messengers of the brain). Regulatory aactivation of the CB1 receptors helps establish and maintain homeostasis of all messenger substances in the brain (glutamate, serotonin, dopamine, noradrenaline, etc.). The endocannabinoid system has evolved to provide various protective functions either against over-excitation in the central nervous system, or by alleviating functional deficiencies of sub-threshold neurotransmitter functioning. This suggests a possible reason for the broad spectrum of actions of THC and CBD; THC binding to CB1 receptors, inhibits excess activity in pain circuits, reducing pain sensation. Similarly, nausea, muscle spasticity, epileptic seizures, anxiety disorders, obsessive-compulsive disorders, hyperactivity and further symptoms of diseases with similar symptom profiles may be alleviated (Grotenhermen, 2016). Low-THC cannabis contains 0.8% or less of THC and more than 10% of CBD. This includes the seeds, resin extracted from any part of such plant; or any compound, manufacture, salt, derivative, mixture, or preparation of such plant or its seeds or resin. Low-THC cannabis contains very low amounts of the psychoactive compound THC, and typically does not result in the euphoric high often associated with recreational marijuana. Anecdotally, I want to mention that the relief from anxiety, pain and muscle tension that is provided for me when I take CBD leads to a sensation similar to euphoria because it is awesome to not feel those symptoms on a chronic basis. I'm not high by any means, but I feel good. Medical cannabis refers to all parts of any plant of the genus Cannabis, including the seeds thereof; the resin extracted from any part of the plant; and every compound, manufacture, sale, derivative, mixture, or preparation of the plant or its seeds or resin. Medical cannabis contains significant levels of THC, and can result in the euphoric high sensation. 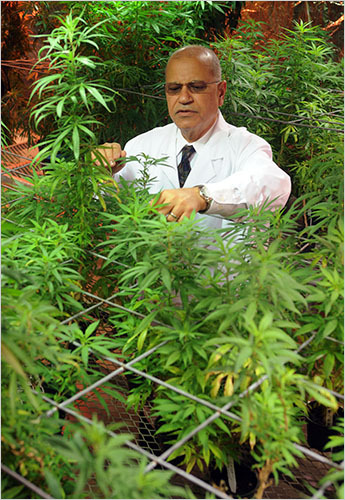 According to a working group of scientists of the University of Mississippi headed by Professor Mahmoud El-Sohly (who from the 1980s until recently was the sole provider of marijuana for research purposes to the US federal government), there are currently 104 isolated and identified cannabinoids, which can be grouped predominantly to particular types such as the delta-9-THC-type, the CBD-type and so on. These cannabinoids are not all found in a single plant, but rather across the sample of known strains of marijuana. THC usually refers to delta-9-THC, which occurs naturally in the plant. There are more than 10 cannabinoids belonging to the delta-9-THC-type. Heat changes two THC acids are changed into the phenolic delta-9-THC; this phenolic THC causes the well-known psychological effects of cannabis and is also responsible for the majority of other pharmacological actions. Indeed, without the heat changes, ingestion of those particular THC acids do not induce the associated high. THC binds to the well-known endogenous cannabinoid receptors, CB1 and CB2, found all over the human body. These cannabinoid receptors are especially dense in the brain (except the brain stem) and throughout the digestive tract. The CB1 receptor is present in the central nervous system and in most of the other tissues and organs of the body. When activated by THC, this produces pain relief, muscle relaxation, increase of appetite, bronchodilation, euphoria and the associated euphoric high. CB2 receptors are present predominantly on immune cells responsible for the defense against pathogens and other immune processes. 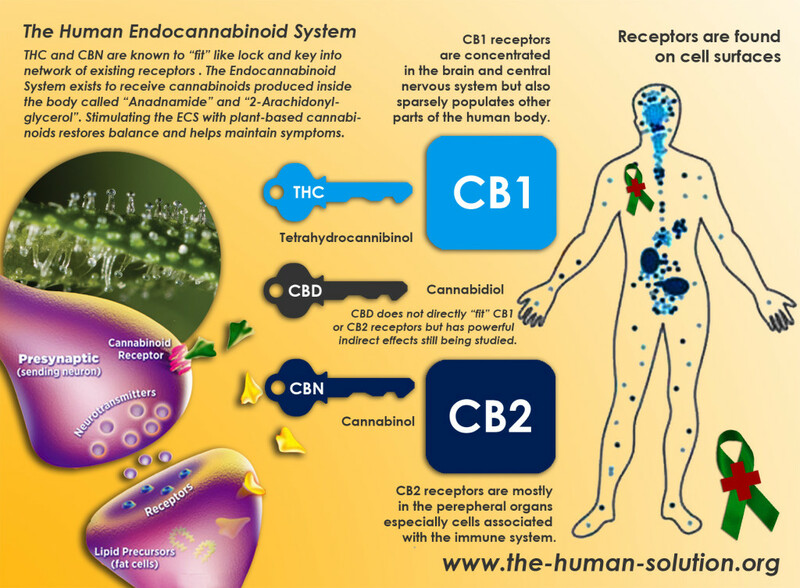 The activation of the CB2 receptor by THC inhibits inflammation and allergic reactions. Cannabidiol is the main cannabinoid found in fiber hemp and after THC is the most common cannabinoid in cannabis grown for medical purposes. CBD does not cause cannabis’ typical psychological effects, but does possesses anti-epileptic, anti-inflammatory, anxiolytic and antipsychotic properties. CBD research is still emerging due to the recent discovery of high CBD strains such as Charlotte’s Web, developed by the Stanley brothers in 2009; the compound produces many effects through multiple molecular pathways. The evidence supporting the therapeutic benefit of CBD is still emerging. CBDA [Cannabdiolic acid], the raw, unheated version of CBD that is present in the cannabis plant, also has a strong affinity for the 5-HT1A receptor (even more so than CBD) (Crippa et al., 2011). For purposes of comparison, LSD, mescaline, and several other hallucinogenic drugs activate the 5-HT2A receptor, which produces an excitatory response. Cannabichomene (CBC) has demonstrated anti-inflammatory and pain reducing effects in animal experiments. Cannabigerol (CBG) only weakly binds to CB1 and CB2 receptors. This cannabinoid has also been demonstrated to have pain relieving, anti-depressive and cancer-inhibiting properties. Tetrahydrocannabivarin (THCV) is a cannabinoid of the delta-9-THC-type, which in low doses can block the CB1 receptor, rather than stimulate it. Inhibition of the actions of this cannabinoid could be used to reduce appetite among patients suffering from obesity. For a full list of the existing identified pharmacological actions of THC and CBD, check out the table that Atakan (2012) assembled because I am not plagiarizing and he’s way more thorough than I can be in a blog post. Charlotte’s Web cannabis: THC percentages < .3% and CBD concentration ~ 15%. CBD has little binding affinity for either of the two cannabinoid receptors (CB1 and CB2), but activates several non-cannabinoid receptors and ion channels. CBD also acts through various receptor-independent channels, eg. delaying reuptake of specific neurotransmitters (such as anandamide and adenosine) and by enhancing or inhibiting the binding action of certain G-coupled protein receptors. G-coupled protein receptors are involved in a range of biological and neurological processes, including anxiety, addiction, appetite, sleep, pain perception, nausea and vomiting. Jose Alexandre Crippa and colleagues (2011) have conducted pioneering research into CBD and the neural correlates of anxiety. Using functional neuroimaging to compare brain function after administration of 400mg CBD relative to placebo among patients with a diagnosis of Generalized Social Anxiety Disorder (SAD), CBD was associated with significantly decreased subjective anxiety, reduced ECD uptake in the left parahippocampal gyrus, hippocampus, and inferior temporal gyrus, and increased ECD uptake in the right posterior cingulate gyrus. These results suggest that CBD reduces anxiety in SAD and that this is related to its effects on activity in limbic and paralimbic brain areas. At high concentrations, CBD directly activates the 5-HT1A (hydroxytryptamine) serotonin receptor, thereby conferring an anti-depressant effect. In 2011, Schubart and colleagues conducted a web-based cross-sectional study on detailed information about cannabis use and subclinical psychiatric experiences using the Community Assessment of Psychic Experiences (CAPE) in the Netherlands. While different types of cannabis (i.e. marijuana, hashish etc.) have distinctive proportions of delta-9-THC and CBD, average concentrations of delta-9-THC and CBD in the most popular types of cannabis sold on the Dutch market are annually measured; thus, researchers were able to estimate exposure to delta-9-THC and CBD. Restricting their sample to participants who used the same type of cannabis in more than 60% of occasions of use (N=1877), the researchers found high CBD content cannabis was associated with significantly lower degrees of psychotic symptoms providing further support for the antipsychotic potential of CBD. While the inverse relationship is more moderate in this study, it should be noted that the use of a cross-sectional methodology does inherently limit the degree of specificity in terms of causation. Alexandre Rafael de Mello Schier and colleagues (2012) reviewed the existing body of literature related to the pharmacological study of CBD in animal and human models and determined evidence that there are significant anxiolytic properties to CBD, but the pharmacological action is still being elucidated at this time. Similarly, Atakan (2012), identified a wide range of anxiolytic pharmacological actions associated with CBD and THC in the literature, and cautioned that street marijuana, because it is not regulated and often features strains bred for a high THC content, does not produce the same specificity of pharmacological action. Laprairie, Bagher, Kelly, and Denovan-Wright (2015) reported that CBD acts as a “positive allosteric modulator” of the GABA-A receptor. This means CBD interacts with the GABA-A receptor in a way that enhances the receptor’s binding affinity for its principal endogenous agonist, gamma-aminobutyric acid (GABA). GABA is the main inhibitory neurotransmitter in the mammalian central nervous system (CNS). The sedating effects of Valium and other Benzodiazepines (Xanax, Ativan, Clonazepam) are mediated by GABA receptor transmission. CBD reduces anxiety by altering the conformation of the GABA-A receptor in a way that amplifies the CNS calming effect of GABA. However, CBD is a non-competitive negative modulator of CB1 receptors; thus, the potential to treat Central Nervous System and Peripheral Nervous System Disorders while avoiding adverse effects associated with morbidity and mortality due to overdose. We are all brought up with baggage associated with drugs. The use, abuse and addiction to drugs, both recreational and prescribed, is unequivocally associated with morbidity and mortality. Ignoring the potential therapeutic benefit of a plant that has no mortality related to overdose and has a strong relationship with therapeutic symptom control for a wide range of chronic illness -- based on bias rather than the existing body of scientific evidence -- is nothing more than ignorant. 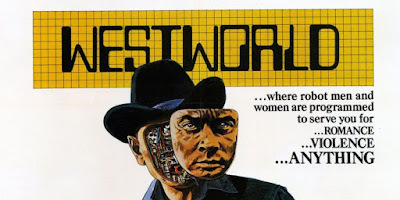 It’s OK to admit that you’ve made some knee-jerk decisions based on your deeply held values/beliefs directly stemming from the moral programming you received in childhood from your family of origin and immediate community. But can we admit that the science is clear? Opposition to the use of CBD and THC for medical purposes is based purely in a moral judgement rather than an informed position. There is clear evidence for the therapeutic applications of several compounds present in the marijuana plant. This is a cause for attempts at further elucidation through methodical research to establish an evidence base rather than a reason to continue wasting time, money, and destroying lives based on a misunderstanding of a drug’s properties and potential for medical application. I know this has nothing to do with the science you present here. But why do I get very increased anxiety and panic attacks whenever I smoke any significant amount of THC? Does it have to do with it being only the recreational kind? Previous bad experiences? Just my organism? This is probably not the best place to ask but I'd really like to know. In 2002 Maurice Elphick of Queen Mary University in London presented his research at the annual meeting of the Society for Experimental Biology. Elphick had previously ​demonstrated that the cannabinoid system in mammals "is a fundamental signalling system in the central nervous system of vertebrates, where it plays a role in movement, pain, and learning and memory.” The 2002 presentation built on his previous work. He had discovered cannabinoid receptors outside of the nervous system among invertebrates, specifically sea squirts. This means that the receptor for cannabinoids existed much earlier in the evolutionary line than previously estimated. Cannabinoids have served a biological function in animals since invertebrates evolved (Genomeweb, 2002). The idea for this post came to me suddenly, while I was applying makeup for no reason at mid morning. I have always thought of makeup as a kind of "war paint" - adding flesh colored layers on top of my true face, to create a mask that stimulates different kinds of reactions depending on emphasis on eyes or lips, the color scheme, the number of layers, etc. Makeup is without a doubt artistry, you can peruse Instagram for some exquisitely shining and also exquisitely horrific examples of this art, with the array of gender identities becoming the socially acceptable canvas for expression, with the makeup artist using their own face, the faces of others, or a combination of both. Makeup artists can make a healthy living these days, and the use of makeup for movies, TV, special effects, and even for the more mundane events of life, that are cause of celebration but as commonplace as grass, like bridal parties and prom and Quinceañeras and Bat Mitzvahs. We humans love our makeup.